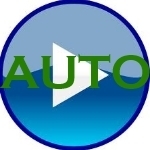 Ready or not…video and audio files are automatically playing on sites all over the internet. Auto-play auto and video on the web annoys website visitors and forces them to download things that they don’t need or want. Why do so many sites insist that they know better? No, I’m not talking about what happens when you insert a DVD or CD into your computer, or even what happens when you plug in a USB device and things automatically happen. That can be evil, and often is, but that’s not what this little rant is about. This is for all of the website owners, designers, and maintainers out there. Auto-play anything on the web is evil. Because so many website owners insist on auto-playing things, I apparently need to explain why it’s such a bad idea. This excerpt appears with permission from Leo Notenboom. I don't bother with website that need me to see a video of something there advertising or even when I read the news if there's a video involved I just pass it by and don't bother. I prefer to read than stay there watching some video of it. I say they should post a choice.